Nowadays, almost everyone uses smartphones as a helper in daily life. Smart phones not only meet the requirements of instant communications, but also provide entertainment for our lives, as well as storing information very important for our day to day. But if one day you format your smartphone and need to recover the formatted data? Or maybe your phone has broken and you need to recover files from your smartphone: what to do? The loss of files and personal data can lead to major problems. However, this loss on account of a cell that spoils or that is formatted continues to happen. There are many reasons to lose this data: remove a memory card without turning off the phone, accidentally deleting files, formatting, system errors, etc. The point is that this loss is totally preventable with some simple care. The basic prevention is to download cloud storage applications to save your videos, photos, and documents. Some of the apps are Google Photos, OneDrive, Dropbox, Box, Cubby, Google Drive, iCloud. The list is immense, and each offers different benefits to its users. The second prevention is to enable automatic backup of your smartphone information. On Android, just go to Settings, Accounts, and tap Google account, enabling automatic backup. On the iPhone, just go to Settings, iCloud, and enable the sync option. Simple, fast, and will prevent you from losing important information from your smartphone. With these prevention systems enabled, simply enter these applications or your Google account or iCloud and download the lost files. Smartphones are not usually designed to allow you to have direct access to the phone’s internal memory, but almost all cell phones organize their data in the same file structure and folder used on computers. If you use your mobile phones improperly either due to a large amount of information or because of the careless use of the device, you may eventually lose your vital data using this device. You may need to format a device in an emergency situation, and you may not have had time to make an appropriate backup. Even then it is still possible to recover lost data from Android’s internal memory. 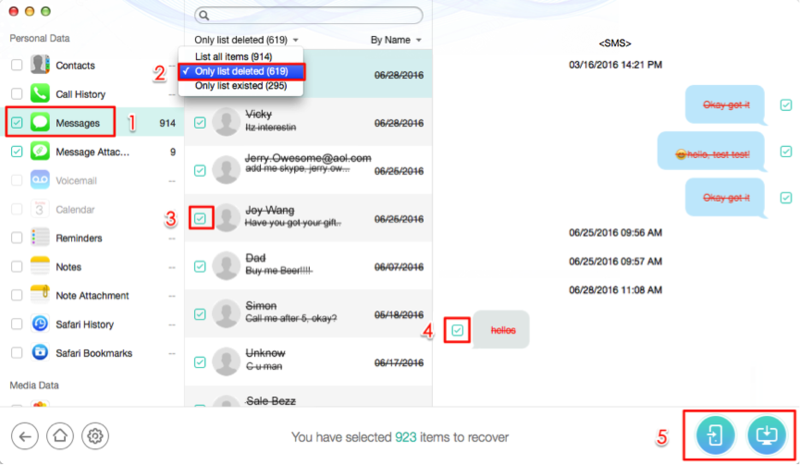 A data recovery utility is definitely a standout tool to rescue deleted files from the phone’s internal storage space. Briefly explaining, the operational principle of data storage is binary codes. Smart phones and computers can interpret these codes. Therefore, when people exclude data, they generally exclude the storage address of the data. In fact, the data will still be there and therefore are recoverable. A data recovery program is designed to work on this theoretical basis. After installing the software, follow the instructions below for the program to work and retrieve formatted data from a smartphone. Our guide focuses on Android devices, as Apple smartphones can only use data recovery programs when they have already jailbroken. Make sure you have correctly installed the program on your PC. There are several programs that you can use for this data recovery. Just choose one for the installation, preferably one that has good ratings on download sites and smartphone forums. Once you have the program installed, connect your device to your computer via USB cable to start trying to recover the data. In order for the program to be able to access the internal memory of an Android phone, it is necessary to enable debugging USB / USB debugging on your Android device. For different Android system, there are several methods for fast access to USB debugging. For Android 2.3 or earlier: Tap Settings, tap Apps, then tap Development. Turn on the “USB Debugging” / USB debugging option. For Android 3.0 to 4.1 devices: Touch Settings, then “Developer Options,” then touch “USB Debugging.” For Android 4.2 or later: Touch Settings and tap Build number multiple times until you receive a “You are in developer mode” note, and touch USB debugging / debugging. Open the data recovery program on your computer and connect your smartphone. When enabled USB debugging, the program will automatically detect your Android phone and then deeply analyze and scan all data lost or deleted in the internal memory of your Android phone or SD storage. Then you should go look on the smartphone screen and click “OK”, allowing the program to have special access to the device data. Then click “Start” for verification. The entire process will take a few seconds based on the amount of data and so be patient. Make sure the battery is charged before you begin. When the process is complete, all scanned data will be shown in well organized categories. Deleted and existing data is displayed. View the files and select what you need to recover by choosing a directory on your computer to send the files. What if I can not recover the files? Especially in the case of a defective or broken cell phone, failing to recover the data may mean that the cell phone has been spoiled. In this case, there is no way to recover the data. Perhaps only technical assistance is capable of making this recovery, but it is unlikely. Already for the case of formatted data recovery, if you can not recover the files, they could be lost permanently. Either way, the question is the same: get a professional technician to try to get the files back. If it does not, there really is no solution. Have you ever lost files because you formatted your phone or broke it? How did you recover? Did you need to take the technical assistance?